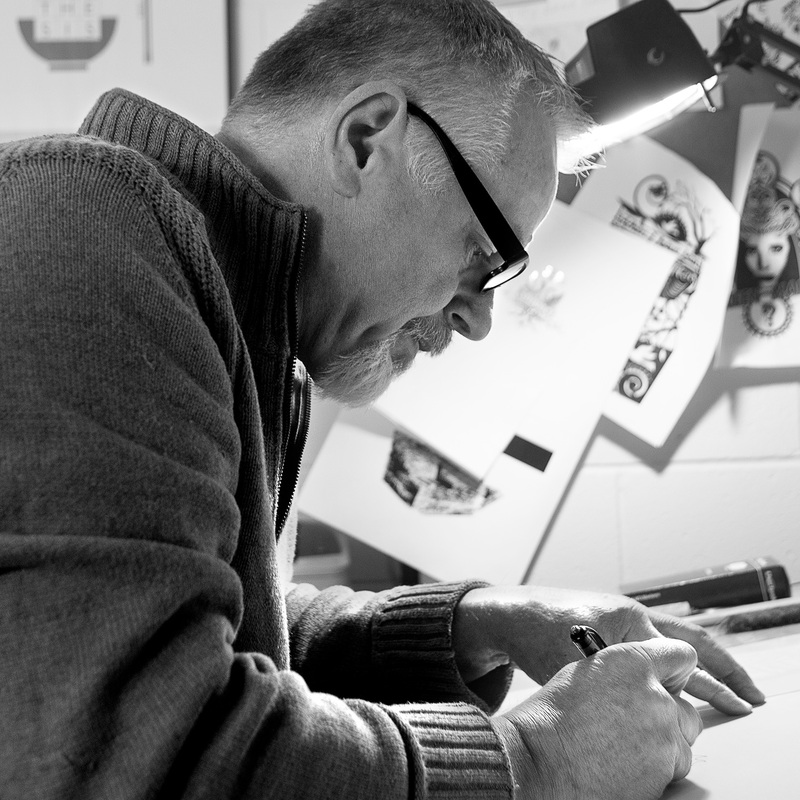 Mark Hartman has been a faculty member in the UNK Art department since 1997. His career in museum work, graphic design and teaching has spanned over 30 years, and he maintains a practice in freelance design and produces artwork in a variety of media. Rooted in painting, Mark continues to pursue an abstract direction on canvas that has been the core of his work for over 15 years. Varied creative interests, however, have led to recent experimentation with assemblage that includes metal embossing, woodwork, painting and digital output. Mark’s work has been included in group and solo exhibitions at several academic institutions including: Angelo State University, Hastings College, Western Texas College, Midland College, Odessa College and The University of Nebraska at Omaha. His artworks are in institutional and personal collections and have been recognized at the local, regional and national levels in competitive exhibitions.